Have you heard? Last Man Standing is returning from TV heaven, but on a new network: Fox. You hadn't heard? Then let this new promo featuring series stars Tim Allen and Nancy Travis, both returning for the new season, camping and admiring a fox. Get it? Of course you do. Last Man Standing ran for six seasons on ABC. A strong ratings player on Friday nights, the show was canceled in 2017. There was chatter the show would live on, possibly on CMT, but nothing came to fruition. That is until Fox, whose sister studio 20th Century Fox Television, produced the comedy, came calling. Allen, Travis, Amanda Fuller, Hector Elizondo, Christoph Sanders, Jordan Masterson and Jonathan Adams are returning. Molly Ephraim and Flynn Morrison will not return as Mandy and Boyd, their roles will be recast. Kaitlyn Dever has yet to officially sign on to return as Eve. 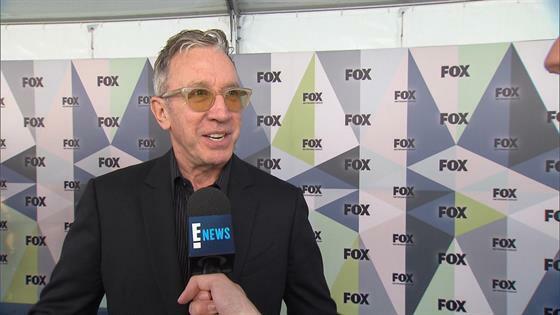 At Fox's 2018 Upfronts, Allen told E! News he was doing a comedy tour in between the cancellation and revival and every crowd was talking about Last Man Standing. "The fans, the viewers, got together with Fox and they kept at it. It was really brought back because of all y'all out there," he said. Allen said nobody involved with the show had truly given up, they all thought "there was gas left in the tank." "It just didn't seem like this was ready to go yet," Allen admitted. "It was kind of a weird time to pull the plug." Last Man Standing returns to TV, on Friday, Sept. 28 at 8 p.m. on Fox. The new comedy series The Cool Kids starring Martin Mull, Leslie Jordan, Vicki Lawrence and David Alan Grier follows at 8:30.